Haftor Medbøe lectures across a broad portfolio of subjects within the Music School that include Composition Studies, Jazz Improvisation, Music in the Community, Entrepreneurship in the Music Industries, and General Music Skills. He holds the post of Jazz Musician in Residence and is director of Edinburgh Napier University Jazz Summer School in association with Edinburgh Jazz & Blues Festival. Since gaining his Doctoral degree in 2013 Haftor has published widely and presented research papers in Portugal, the Netherlands, Italy and the UK on themes of cultural studies and commercial infrastructures in jazz. He is currently working on a number of chapters for the forthcoming five-volume History of Jazz in Europe for Oxford University Press, and a chapter for The Nature of Nordic Music for Routledge. Haftor holds the post of Researcher in Residence at Festa Do Jazz in Lisbon, Portugal and is primary instigator of Continental Drift, an annual conference series organised in association with Edinburgh Jazz & Blues Festival. Prior to being appointed full-time at Edinburgh Napier in 2009, Haftor enjoyed a twenty-year career in the music industries as a composer for film, television, theatre and contemporary dance for, amongst others, Channel 4, ITV, Tern TV, Scottish Ballet and Scottish Dance Theatre. 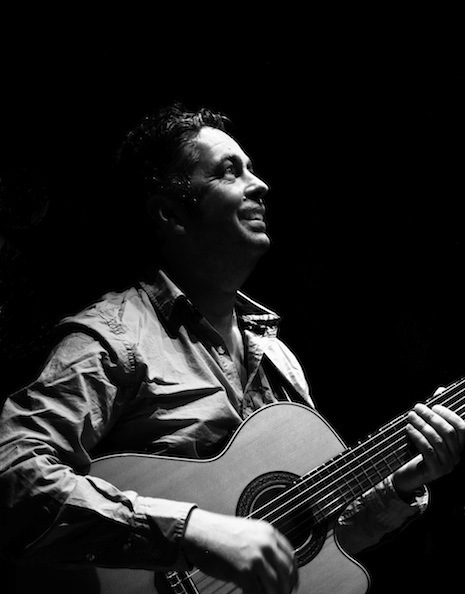 Haftor remains active as a guitarist and composer on the international jazz scene and was a featured artist in Creative Scotland’s “Made in Scotland” showcase in 2013. Subsequently, he has recorded albums with the bass clarinetist Pete Furniss and most recently with pianist Espen Eriksen and trumpeter Gunnar Halle for the Norwegian Losen record label. He has recorded five studio albums with Haftor Medbøe Group and has featured on numerous others as sideman. He has also toured extensively in the UK and abroad with a variety of projects. Past appointments include Lead Tutor for the Princes’ Trust, Music Industry Consultant to Scottish Cultural Enterprise, Musician in Residence for The Queen’s Hall and Drake Music Scotland and Lead Tutor for Artlink Scotland.